Santa Jeaux has been performing off and on as Santa Claus since 1978, in California, South Carolina and Georgia. 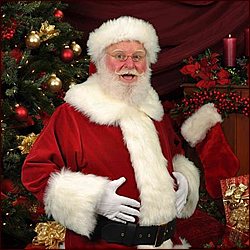 His career as a professional Santa began part-time in the early 1990s and he became a full-time real-bearded Santa Claus in 2012. 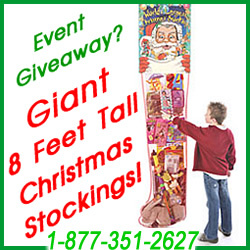 Santa Jeaux appeared during the nights of 2013 as Santa Claus for the entire Christmas season in the Global Winter Wonderland event which was held at Turner Field in Atlanta. There he was seated at the end of a 100-foot long cluster of arches of colored lights in front of a 50-foot high Christmas tree made of fabric and lights. There, many thousands of visitors were thrilled at his performance, including his presentation of the introductions of the UniverSoul Circus performances with its daring acrobats and hilarious clowns. Christmas is a very special time of the year! Memories that last a lifetime will take place between now & December 26th. 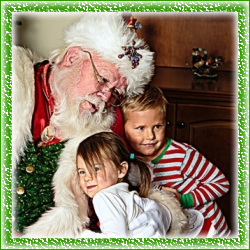 Photos with Santa will help preserve those precious memories! Santa is available to come to your home or place of business to hand out personalized gifts, make photos and bring a special joy to children, parents, grandparents and employees alike. Santa will memorize the names of your children and call them by name as he hands out gifts (provided by you). From Christmas office parties to personalized home visits and handing out gifts to family members, Santa Mark will provide a realism and personalized touch that will always be cherished and remembered! Santa Loves to pose with pets for photos TOO!